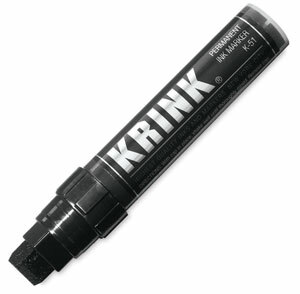 The Krink K-51 Permanent Ink Marker is the leading choice for coloring large areas with smooth, even strokes. The extra-broad nib is excellent for backgrounds, calligraphy, architectural design, and product rendering. The K-51 is alcohol-based and contains no harmful solvents. Handmade in the USA. Xylene-free. Conforms to ASTM D-4236.